Overcoming opposition by some of the Democratic Party's most liberal constituencies, California's senior U.S. senator, Dianne Feinstein, defeated state Sen. Kevin de León, a fellow Democrat from Los Angeles who sought to portray her as too moderate and insufficiently opposed to President Trump's agenda. With millions of votes likely to still be counted, Feinstein was leading de León by eight points, 54 to 46 percent, closer than pre-election polls suggested it would be given her advantages. Unlike June, when Feinstein had every single California county in her column, de León, who was badly outspent, waged a surprisingly strong challenge to her, leading in all of the state's interior counties plus San Luis Obispo and the northern third of the state up to the Oregon border. Despite a longing by some Democrats for a fresh face, Feinstein, 85, was able to convince enough voters that her experience, seniority and role on powerful Senate committees were all worth keeping at a time when Democrats are on the defensive in Washington. The former San Francisco mayor was first elected to the Senate in 1992. 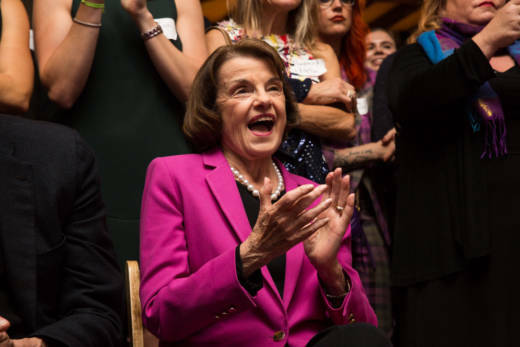 Feinstein is already the longest-serving woman there and is now poised to add to that seniority. Before Feinstein formally announced a year ago that she would seek another term, speculation was rampant that she might retire. She is the oldest member of the U.S. Senate, and polls indicated some voters were hesitant to re-elect someone who would be 91 at the end of another six-year term. But Bill Carrick, Feinstein's longtime political consultant, said whatever doubt Feinstein might have harbored about running for another term ended with the 2016 election. "My gut feeling was that when Trump got elected, she went from thinking about whether to run to feeling like she should stay because it was important for California," Carrick said. Ironically, it was conciliatory comments made about Trump in August of last year that infuriated some rank-and-file Democrats, giving de León the impetus to challenge her. But Carrick doesn't buy that rationale, saying Feinstein's comments were "blown out of proportion" by the media and de León. "Kevin was looking for a narrative that would justify getting into the race or getting into some race," Carrick said, noting that before jumping into the U.S. Senate race the Los Angeles Democrat had explored running for lieutenant governor and state treasurer. "He was looking for some kind of exit strategy" from the Legislature, Carrick said. 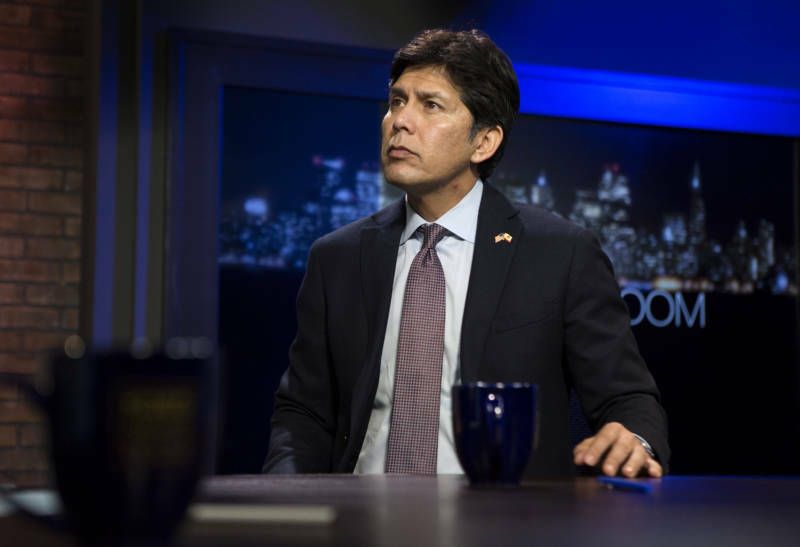 De León got a boost in July when the California Democratic Party overwhelmingly endorsed him over Feinstein, underscoring the party's long-standing dissatisfaction with the San Francisco Democrat's relatively moderate politics. But the endorsement landed with a thud: De León was never able to convert it into campaign cash or any kind of momentum. "We were not naive to the challenge we were facing," said de León's campaign communications director, Jonathan Underland. "It was very obvious. She’s got 26 years under her belt. She’s the incumbent. Anytime you try to challenge someone like that you have to go into it clear-eyed — and (de León) did." Dynamics in the race could have changed in September when Feinstein, the ranking member of the Senate Judiciary Committee, found herself in the middle of a political firestorm after holding onto a letter accusing Supreme Court nominee Brett Kavanaugh of sexual assault when he was a teenager. Feinstein said she withheld the letter written by California psychologist Dr. Christine Blasey Ford to honor her request for anonymity. Republicans accused her of trying to blow up the confirmation hearings at the last minute, while some Democrats wondered why she hadn't alerted the FBI sooner. In the end, it didn't seem to matter much to voters, who awarded Feinstein with a fifth full term. As she heads back to Washington for another six-year term, speculation is rampant that Feinstein will not serve the entire term, choosing instead to eventually step down and allow Gov. Gavin Newsom to appoint her successor. But in a recent interview with KQED, Feinstein seemed to brush that aside. "My health is good. I can go the distance. I enjoy it and a good part of my life is wrapped around helping people," Feinstein said. "It makes my life worthwhile."